In today's essay, Ehud Diskin, a bestselling author in Israel, writes about his reasons for writing historical fiction and the research process for his new novel. 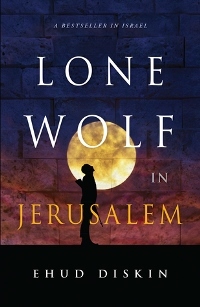 Lone Wolf in Jerusalem was published by Greenleaf Book Group in August. I wanted to write the history of Israel in the 1940s prior to the establishment of the state of Israel and to tell about the people who fought hard for it --- to tell the story of the Jews who survived Europe after WWII and came to Israel to establish a Jewish state. I took into consideration that today, a lot of people don’t read history books, and in order to tell the history also to those people, I decided to write a historical novel. I used elements of suspense, action, drama, adventure, and romance, so that it will interest most potential readers. Originally the book was written in Hebrew, and the fact that it had rapidly became a bestseller proved my intent. My novel is set in the same time period as Leon Uris’s Exodus. I wrote my novel as someone who knows Israel and its history in the 20th century. I am a seventh generation Israeli. I was born and lived as a child in a besieged Jerusalem, fought in three wars and reached the rank of a colonel. As a result, I could truly imagine the story of the fictional hero of the book, David Gabinsky, who leads a courageous group of Jewish partisans in Belarus and after the war, makes his way to Jerusalem to help his people find freedom from the British. The characters in the book are fictional, but the history is accurate. The reader finds himself involved with the characters of Jerusalem in those days, and learns through the main characters, the true experiences of people who lived during that time. When I wrote this book, besides reading many books about that period (there is a bibliography list in the end of the book), I researched and reviewed a lot of documents. In Israel in the 1940s there were three Jewish undergrounds who fought the British. Each of them had a different point of view not only ideologically, but they saw each event differently. I had to research to find out what really happened. I interviewed people who lived at that period; they were in their 80s and 90s. I visited all the places in Jerusalem that I wrote about. I researched the names of the streets in those days, and in the beginning of the book there is a diagram map of Jerusalem related to the relevant period and to the book. Besides being recently published in English, the novel was also translated in Russian. A Russian reader sent me letter expressing her enthusiasm for the book and why she felt it was an important look at Israel. 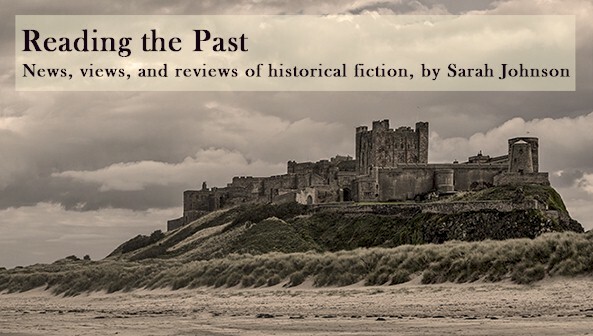 I am pleased because it shows that the idea of telling the history through a historical novel was successful. Ehud Diskin was born in Jerusalem. He served as an officer in combat roles during Israel's wars, as detailed in his memoir, Yes, It's Possible, and ended his military career with the rank of colonel. After attending the Hebrew University of Jerusalem, he earned a PhD in business management and became the director of the LIBI fund, collecting contributions from all over the world to provide support for the education of soldiers. Later, he left the public sector and became a businessman, establishing several successful enterprises in the United States. Find out more and read reviews of the original edition at lonewolfinjerusalem.com.